If your property has suffered from a flood or some other disaster and you have some water damage to deal with, then one thing that you should be wary of is hidden pockets of water. Many people try to handle water damage by themselves with mops, buckets and small pumps but this is not a good idea. 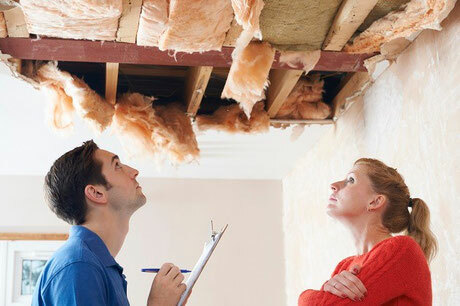 Water damage can cause serious problems to the structural integrity of your property. If you do not treat it seriously and promptly, and have a professional look your property over to make sure that there are no hidden pockets of water that could potentially lead to issues with damp, mold or mildew in the future then you are setting yourself up for some potentially very serious health issues in the future. Water damage is insidious in that once you have removed the most obvious problems, there can still be a lot of damp and hidden pockets of water causing problems for you. These must be fixed quickly otherwise you will end up with a lot of issues in the long term. Termites and other pests are attracted to water, and will infest damp wooden beams. Mold can grow on damp plasterboard, and condensation can cause water to pool on the windowsills too. All of these problems can be avoided with the use of the right tools and expertise. Learn about the tools, equipment and process Action1Restoration uses for water damage and water removal. With thermal imaging tools to identify damp patches that are colder than the rest of the property, dehumidifiers to pull water out of the atmosphere, and powerful fans and heaters you can treat even serious cases of water damage quite quickly and get your house back up to a habitable state. Call your insurance company today to find out what your options are for taking care of water damage.